After receving overwhelming response for facelifted Figo hatchback and Figo Aspire sedan from car aficionados, the Indian alliance of American auto giant Ford is now getting ready to dispatch third era of generation next Ford Endeavor codenamed as “Future SUV” on company website. The facelifted Endeavour is expected to arrive in Indian Car Market in starting off 2016 and is likely to price under the range of Rs. 22-25 lakh. It is rumoured that upcoming SUV from automaker have started reaching to dealership stores ahead of its launch, and bookings for the same is likely to commence sometime during the next month. 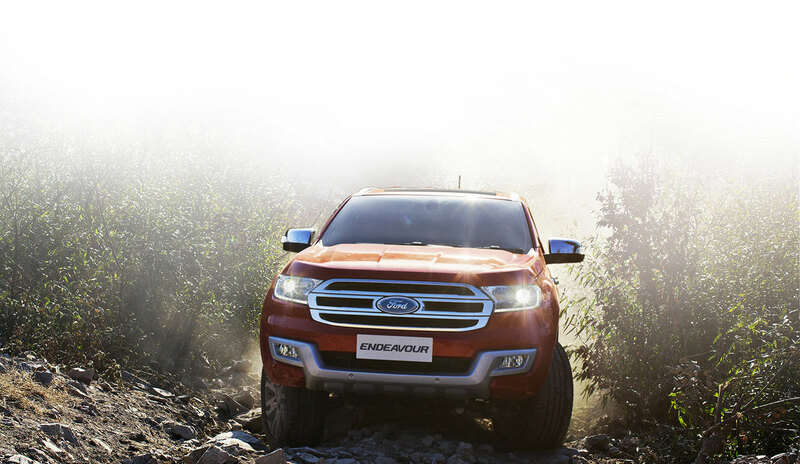 According to Ford India website the new full sized seven-seater SUV will be powered by 3.2L TDCi diesel engine, which is expected to generate the power of 197bhp, equipped with 6 speed automatic transmission. Currently we don’t have any information that the company will continue its existing configuration of 2.2-litre diesel engine or not. In its third generation, the SUV deviates from the typical boxy design and features more rounded outline which makes it look bolder and rigid. Designed on new ladder-on-frame chassis SUV features a coil spring at the rear wheel which helps in shortening the length of the vehicle. The interiors of SUV are exhilarated from the likes of Ford's F-150 pick-up truck featuring leather stuffing and steering wheels consisting of sound controls. Apart from this the new Endeavour will be offered with Terrain Management System that effortlessly puts you in total control whether it’s sand, snow or rock, you can confidently tackle any track, trail or mountain. Once launch in Indian car market, generation next SUV will compete against the likes of Toyota Fortuner and Mitsubishi Pajero Sport.